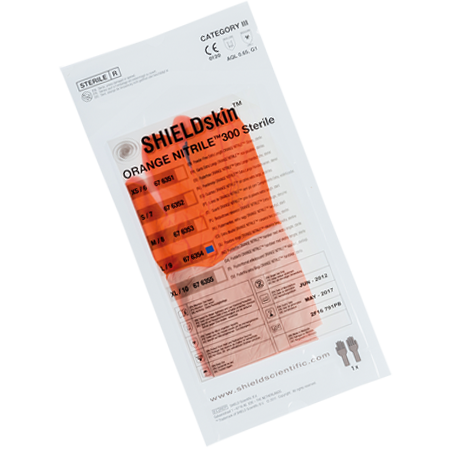 SHIELDskin™ latex gloves and SHIELDskin™ nitrile/polychloroprene gloves are Category III PPE registered. 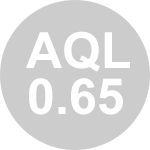 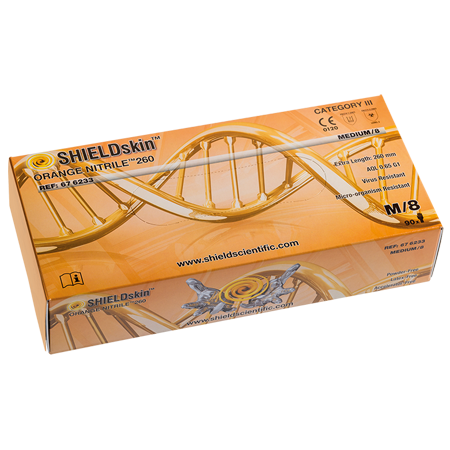 They offer a high level of protection against biohazards (AQL 0.65 - EN 374-2:2014 Level 3) and are virus resistant (ISO 16604:2004 procedure B). 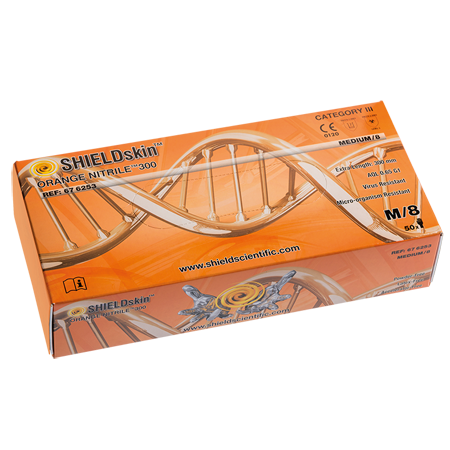 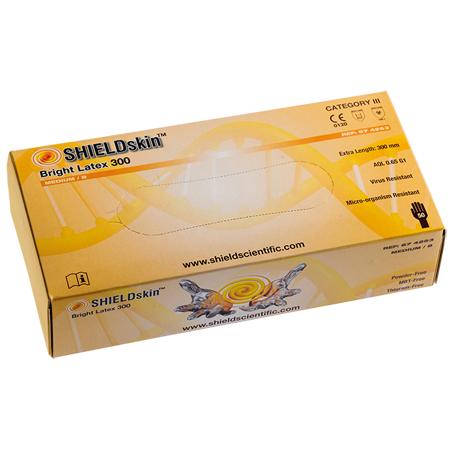 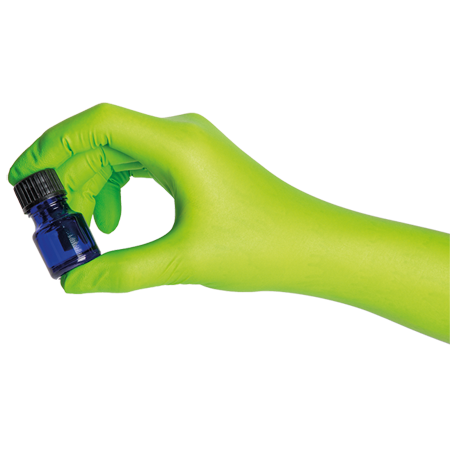 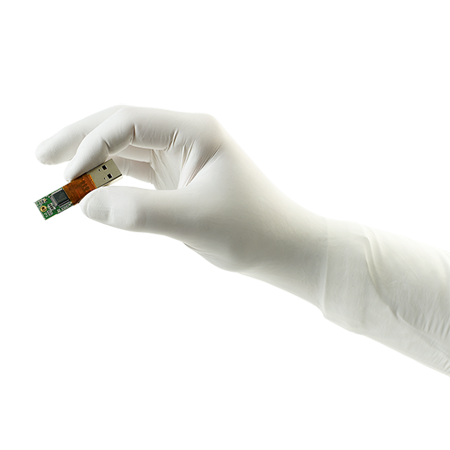 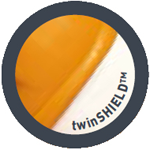 SHIELDskin™ is the perfect glove solution for your biosafety laboratory. 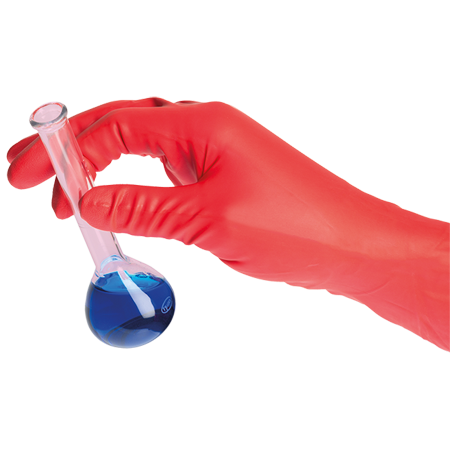 Protective glove, laboratory glove - Category III PPE glove - Ambidextrous powder-free orange/white nitrile/polychloroprene glove - AQL 0.65 - Regular cuff. 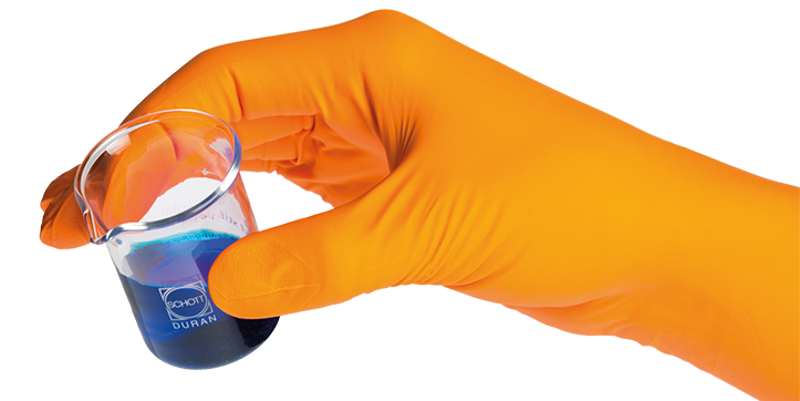 Protective glove, laboratory glove - Category III PPE glove - Ambidextrous powder-free orange/white nitrile/polychloroprene glove - AQL 0.65 - Long cuff. 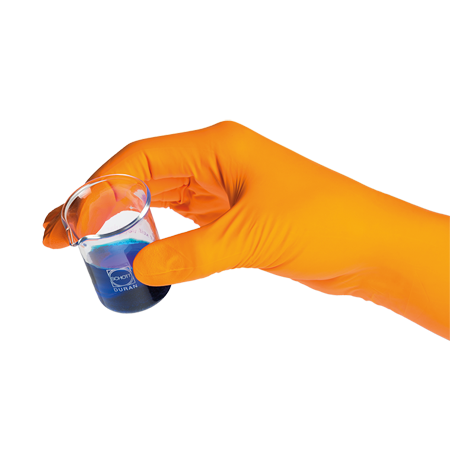 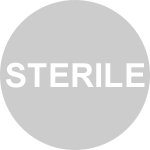 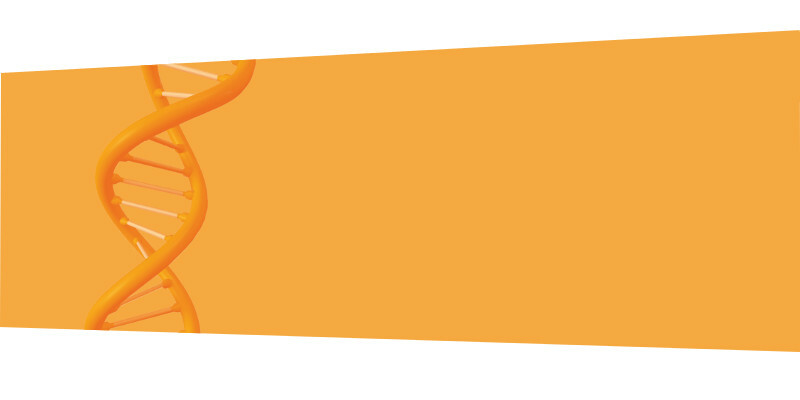 Protective glove, laboratory glove - Category III PPE glove - Ambidextrous powder-free orange-white sterile nitrile/polychloroprene glove - AQL 0.65 - Long cuff. 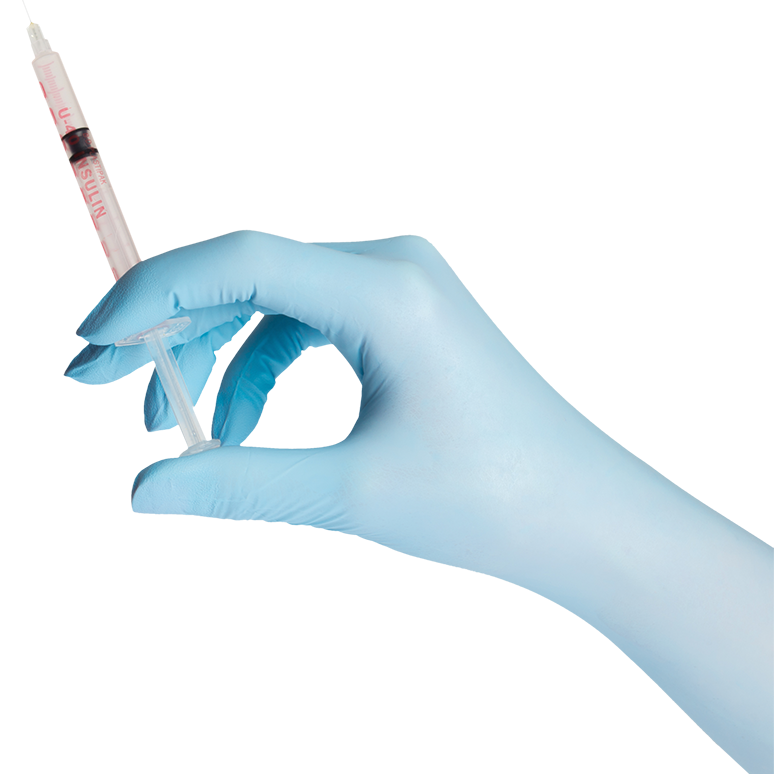 Protective glove, laboratory glove - Category III PPE glove - Ambidextrous powder-free latex glove - AQL 0.65 - Long cuff.